Location: Glenside Road, Road Reserve and on land under development off Glenside Road. Wellington City Council proposed to widen Glenside Road and ultimately remove the historic hawthorn hedge here. Residents have strongly objected to this. 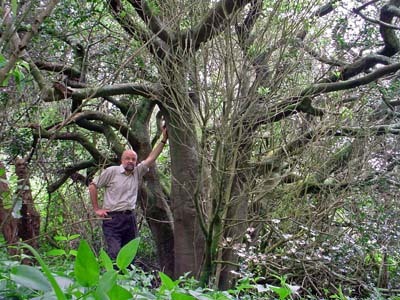 The remaining Barrow trees are on private land and will be sold for a housing development. The Glenside Progressive Assn. Inc. feels the site deserves recognition as having an important place in early Wellington’s history. Glenside Road is a very popular recreational walking route, and a heritage information sign could be of value as part of an historic walk around the area. An old hawthorn hedge on Glenside Road conceals a magnificent holly tree and a laurel. The hawthorn hedge and other trees were planted on Section 22, the farm of the Barrow family. James Barrow and his family of six arrived at Petone on the first immigrant ship Aurora in 1840. His daughter Sarah Ann Barrow, aged 15, became the first white woman to step foot on the shore at Petone. One version of the story states that her father paid a seaman, Mr Jones, to carry her ashore. Another version states that Sarah and another young woman jumped over the side and swam ashore in a race to land on Petone Beach. “James Barrow was originally a Kentish farmer and the hedgerows which survive on Section 22 would have been planted by him or one of his sons. In using hawthorn, holly and the odd sweet bay tree to divide his farm into small fields, he unwittingly created a replica of the Kentish countryside. The age of the trees (in 1976) indicate they could be 130 years old.” (W H Secker, Kapi-Mana News, 1976). Early settler Thomas Arnold boarded with the Barrow family and letters of his experiences living with the household on this road in 1848 are held in the Alexander Turnbull Library in Wellington. The holly and the laurel are located on vacant land, owned by developer Rodney Callender. 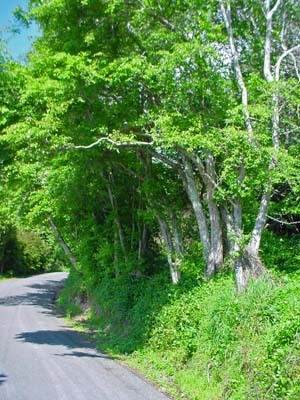 The hawthorn hedge is on road reserve. In 2004 a bulldozer contractor was employed to remove large pine trees on Glenside Road. The driver bulldozed over the site, disturbing old ceramics and bottle glass. There were complaints from the residents and Historic Places Trust was called to investigate as the disturbance was felt to in breach of the Historic Places Trust Act. 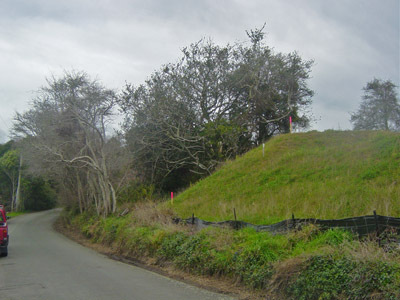 In 2006, after inspecting the site again, The Historic Places Trust gave permission for it to become a place to dump fill for a housing development. Glenside Road residents and wider community feel strongly that these old trees and immediate surrounding landscape must be legally protected to ensure that this important area is preserved for future generations of Wellington to enjoy.